By default, WooCommerce does not let you set up shipping by weight or cost ranges. You can set up flat rate shipping, but that doesn’t give you the ability to charge for order total price ranges or weight ranges. In this tutorial, you will learn WooCommerce Shipping Cost by Price or Weight. In this tutorial, I will show you how to set up shipping costs based on order total cost or weight. Requirements: You need to have WooCommerce installed. Install Flexible Shipping for WooCommerce. See How to Install WordPress Plugins. 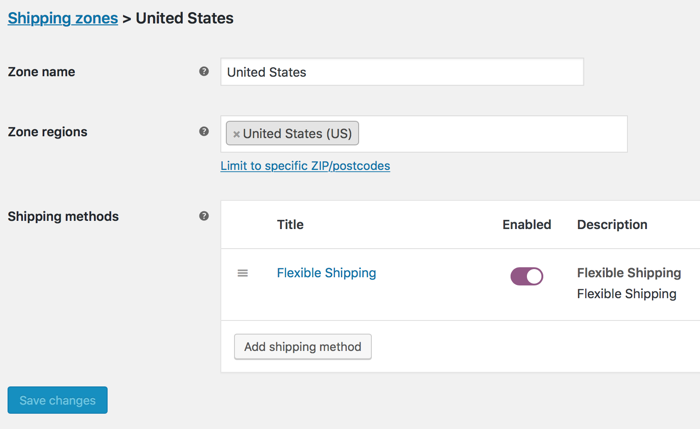 Make sure WooCommerce shipping is turned on: go to WooCommerce > Settings > Shipping Locations and select Ship to all countries you sell to. Note: For this tutorial, I have selected to sell only to specific countries and selected United States. 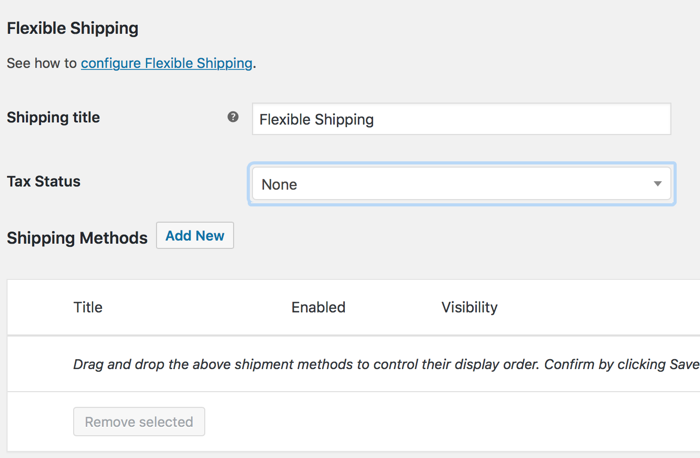 Go to WooCommerce > Settings and click the Shipping tab. Click Add a Shipping Zone. Enter a Shipping Zone name and select the countries you want to ship to. In this example, I selected United States. Click Add a Shipping Method, select Flexible Shipping, and then click Add Shipping Method. In the Flexible Shipping method screen, you can change the method title and tax status. I changed the tax status to None. I don’t want to charge tax on the shipping. You should check with your country and state laws to determine if you need to collect taxes on shipping charges. Click the Add New to add Flexible Shipping rules. Check Enable this shipping method. In the Method Title field, enter a shipping method title. This is the tile the user will see on the checkout page. I leave all other fields as they are. Scroll to the bottom of the screen and click Insert Rule. In the example rules above, I inserted 3 rules based on price. You can add as many rules as you need. If you wan to use weight ranges instead, select Weight from the Based on list and then add Min and Max weights. Note that the Min and Max fields cannot overlap or have gaps. For example, in the first rule, the Max cart value is $40.00. As a result, the next rule Min value must be $40.01. 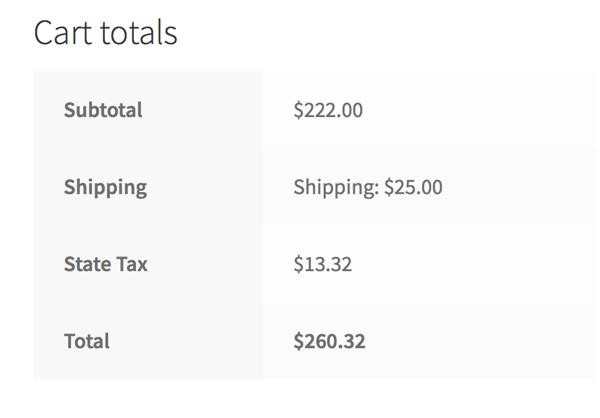 In the example below, the subtotal is $222 and the shipping is $25. If you look at the rules above, that is correct. The subtotal range of $100.01 through $10,000.00 has a shipping charge of $25.00.